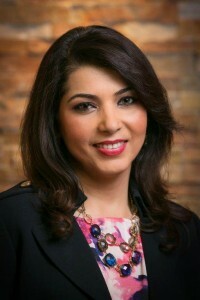 Dr. Kazi has served the Dallas community for 15 years. After completing her fellowship at UT Southwestern Medical Center, she joined the VA Medical Center and served as the director of the heart failure clinic. For the past 7 years, Dr. Kazi has practiced at UTSW in Dallas, serving her patients and their families as a compassionate caregiver and educator. Her special interests include management of heart failure, complex valvular heart disease, coronary artery disease, women's heart disease and preventative cardiology. Dr. Kazi is thrilled to start serving those in her own community in Coppell, TX. 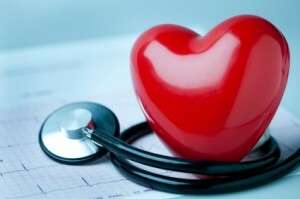 Farhana Kazi, M.D., F.A.C.C., is a Clinical Cardiologist. She specializes in cardiology and cardiac imaging. Dr. Kazi earned her medical degree from Aga Khan University in Pakistan. She then completed an internship in general surgery at George Washington University, a residency in internal medicine at the University of Connecticut, and a fellowship in cardiology at the University of Minnesota, where she also earned a master’s degree in clinical research. Dr. Kazi came to UT Southwestern in 2000 to pursue a fellowship in cardiac imaging. She has specialty training in echocardiography, magnetic resonance imaging (MRI), nuclear imaging and computed tomography (CT) imaging. She is board certified in internal medicine, cardiovascular disease, nuclear cardiology, echocardiography, and cardiac computed tomography (CT). While Dr. Kazi specializes in cardiac imaging, she also cares for heart patients in a variety of settings and has a special interest in preventive cardiology, valvular disease, pregnancy-related heart disease, and women’s heart health. She has conducted research in various clinical trials, nuclear imaging and echocardiography, and she has served as a member of the quality assurance and quality control team for the Echocardiography Lab at UT Southwestern and Parkland Hospital. Dr. Kazi is a fellow of the American College of Cardiology and a member of the American Heart Association, Society of Cardiac Magnetic Resonance Imaging, American Society of Echocardiography, American Society of Nuclear Cardiology, Society of Cardiac CT and Dallas Medical Society.